Since its introduction in 2016, the Presage collection has represented both Japanese craftsmanship and mechanical watchmaking. The 2018 Presage collection, demonstrates Seiko’s ability to explore and expand these creative avenues. This Shippo Enamel Limited Edition has a specific type of enamel, whereby the enamel is hand painted onto the dials surface. A lead-free glaze is used that complies with the safety and ecological aims of Seiko. 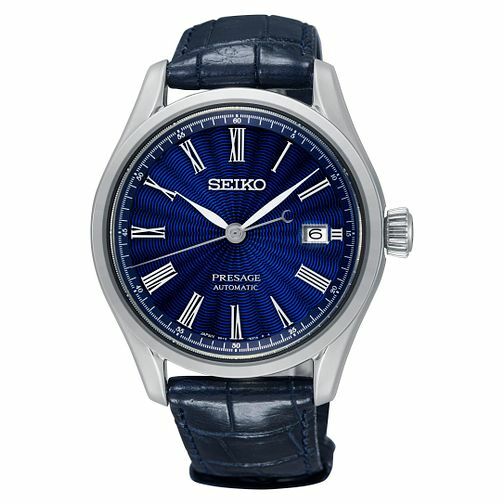 The blue dial on the new Presage collection reflects the colour of the ocean. Seiko empathises the importance that the sea has played in influencing Japanese traditions.